SurfEasy definitely aims to be the VPN for casual users – easy app that does the minimum for a premium price. Operated by parent company Symantec. Let’s see if this VPN suits your needs. 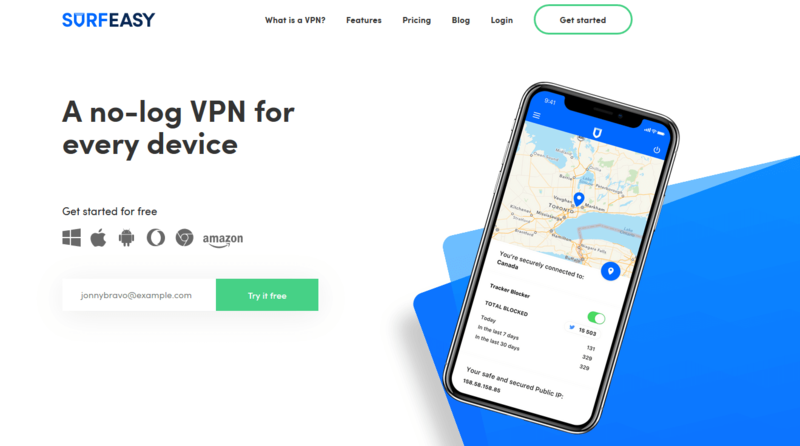 “A no-log VPN for every device” is what SurfEasy is promoting. This Toronto-based company is owned and operated by the parent company Symantec Corporation. The same cybersecurity software company that generates over $4 billion in revenue annually. What do they have to offer customers? Let’s find out. Servers and Locations: A whole lot of choice! Yes, we know this list is for ants. SurfEasy VPN currently offers 1,000+ servers across 28 countries; 16 countries if you opt for the normal plan, and 28 only if you go with their Ultra Plan. You get what you pay for and all that. SurfEasy VPN covers Europe, Asia, and America, which is a pretty healthy selection. 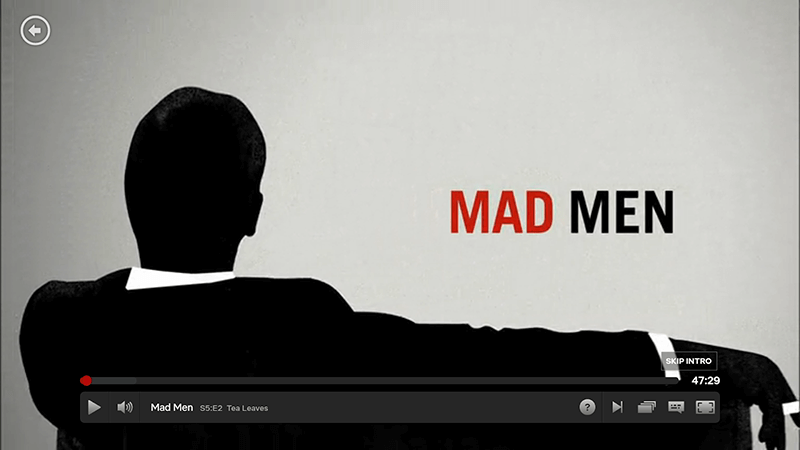 Netflix addicts can rejoice—out of the regions we’ve tried, all worked except for the German server. You can catch up on all those TV shows on your list now, you screen addict. SurfEasy’s speeds are moderate. For a faster experience, here are the best VPNs for Netflix and other streaming services. Torrenting Policy: What’s on the download menu for tonight? Torrenting is allowed with SurfEasy. Their dedicated servers allow you to download stuff with speed and ease; so enjoy torrenting without limits. 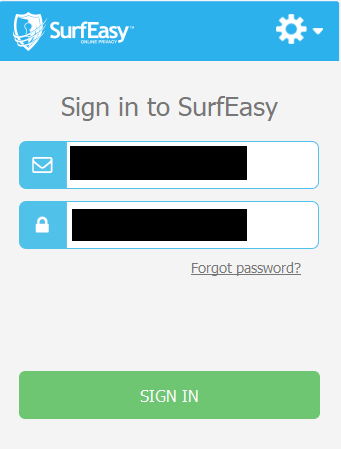 Nice job SurfEasy! SurfEasy has created a torrent-friendly service that’s available in their Ultra plan; it will cost you more but it’s worth it. Their service offers torrent protection that conceals all data traffic that will allow you to torrent safely. For the safest torrenting experience, we recommend you check out these top VPNs for torrenting. SurfEasy VPN offers a hassle-free 7-day money back guarantee refund policy. This means that you’ll get your money within seven days of your initial payment date, no question asked. It’s not the 30-day refund policies we feel are generous, but it’s probably enough time to see what you think about their service and make a decision. 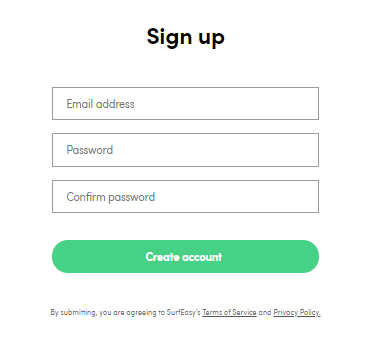 You won’t break a sweat signing up to SurfEasy. All you have to do is provide an email and a password; no card information needed, and no questions asked. It’s easy and simple. 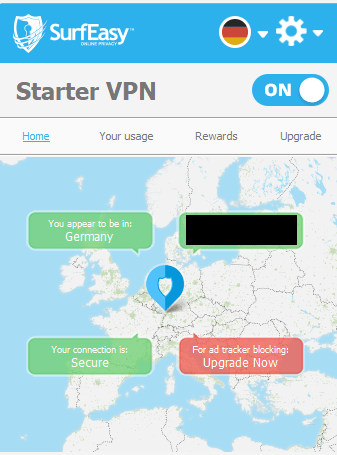 SurfEasy VPN has a neat interface that’s easy to use. Just log in to your account and click on the globe to change your location. Once you’re connected, job done. It’s really easy, seriously. Some reviews claim SurfEasy VPN has a poor customer support; we gave it a shot ourselves, to see what the truth was. 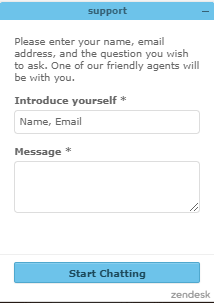 First things first: SurfEasy VPN features a knowledgebase if you don’t want to talk to their customer support. They also offer support from Monday through Friday, EST time from 8am-8pm, and Saturday and Sunday from 9am-5pm. You can also submit an online ticket at any time or speak to a representative through chat and call. First, we tried to contact them through email and as expected the response time took them 2-3 hours. Not bad at all. We also tried to contact them through live chat, and to our surprise, SurfEasy replied to our inquiry in less than a minute. And yes, we talked to an actual representative. Kudos to their support team. Overall, a perfect support system; a well-rounded knowledge base, a ticket system and live support – that’s what we like to see! SurfEasy features AES-256, “bank-grade” security encryption. Like other major players, SurfEasy’s Windows, Mac, and Android applications all use OpenVPN, while the iOS applications and local Mac applications use IPSec. You should be well protected from hackers of any sort – nice! The speed of SurfEasy VPN doesn’t disappoint, but it’s not mind-blowing either. The speed test results are decent as VPNs go. They don’t throttle their traffic either, unlike other competitors, which is nice to see. SurfEasy has 3 basic plans: Starter, Total, and Ultra. Each lasts a month; the only difference is the features you’ll get. The starter is the free trial, though we wouldn’t recommend it for long-term use because it’s capped at 500 MB which will only allow you to browse for a few hours. 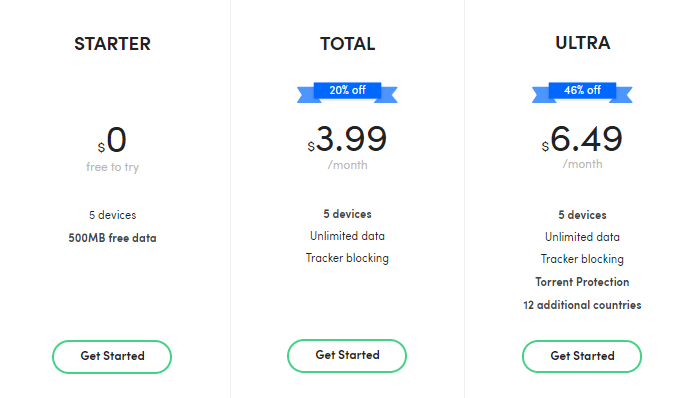 Next, is the Total plan that costs $4.99/month; this plan gives you unlimited data and tracker blocking that you can use for 5 simultaneous devices. The top end of SurfEasy’s service is the Ultra Plan that costs $11.99/month. That gives you the privilege of Total subscription benefits, plus torrent protection and an additional 12 countries’ servers. 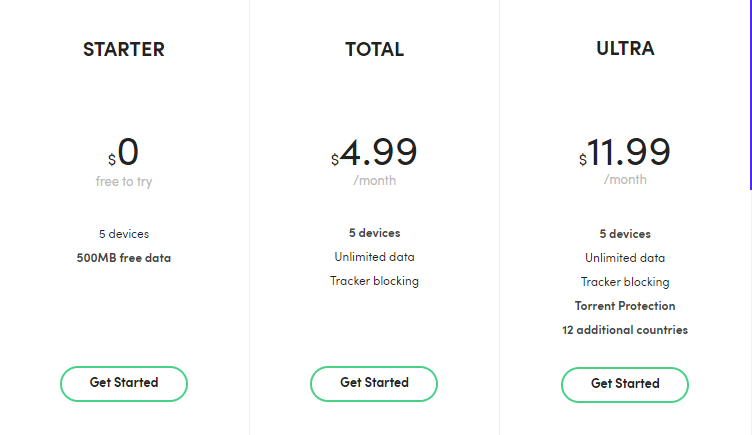 Here’s a quick look at their annual plan; the features are basically the same, you’re just going to save a whole lot of money paying upfront. Total Plan is $3.99/month or $47.88/year while Ultra Plan costs $6.49/month or $77.88/year. This is a little pricier than some we’ve seen, where the average falls at around $60 a year. One more thing about “Enhanced Tracker Blocker” algorithm: it’s a feature that tracks and intercepts cookies that advertisers use online to follow you around – a nice little touch! SurfEasy VPN accepts all kinds of major credit cards and Paypal. However, for those who wish to pay using a more anonymous method, you’re out of luck. Device Compatibility: Power users, lament! SurfEasy VPN supports a lot of devices—including Windows, Mac, Android, and iOS. They even offer browser extensions for Chrome and Opera. Not only that, but they also offer a mobile app for Amazon phones, too – people are using those? Okay, we don’t judge. Unfortunately, they don’t support routers so if you’re tech-savvy with advanced requirements, SurfEasy falls a bit short. With a 5 device limit, no router support definitely limits power user’s options here significantly. Logging Policy: Oh… oh dear. SurfEasy VPN prides itself as “A no-log VPN for every device,”. They don’t log your personal information, but they do admit that there are unique cases where information is held. The VPN’s strict no-log policy turns out to be not so strict at all. To begin, this VPN doesn’t log your origin IP addresses, download history, usage logs, browsing activity, or DNS data. However, their service uses tracking technology to monitor your performance and redirect advertisers that attempt to sell you stuff. At legal request, they will disclose your data, including your usage data. It’s worth keeping in mind that this is a Canadian company; that means that it’s under the “5 Eyes Alliance” (Check jurisdiction for more information). Yeah, we’re not overly impressed – no-logging kind of sounds like a lie now. Sorry SurfEasy, this is being thrown in the Con section! Kill Switch: We’re missing a switch over here! The short answer to this is no. They don’t have a kill switch. So security-conscious folks – sorry. They do feature the Enhanced Tracker Blocker, but it’s not a replacement for a kill-switch. C’mon SurfEasy, get it together. Give us some protection! SurfEasy is a VPN tool that protects your online privacy and unblocks the internet. This Toronto-based VPN is owned and operated by the security company, Symantec. Symantec was established by people with big ambitions but not a lot of cash. Throughout the decades that followed, Symantec has grown to become a world-renowned name in cybersecurity, earning over $4 billion per year in recent times. Canada is viewed as one of the first individuals inside the “5 Eyes” alliance. The agreement stipulates rules for sharing insight and citizen data. If your own data is collected by SurfEasy and requested by authorities in any of the included countries, there’s a decent shot it’s going to wind up in the hands of all 5, or more. SurfEasy VPN doesn’t disappoint with their “bank-grade” encryption. With OpenVPN Protocol topped with 256-bit encryption, there’s no denying that SurfEasy VPN can run with the big dogs in the market. On top of strong security, this service works with Netflix and Torrent as well—a true mark of a good VPN. Their product offers a neat interface and easy usability. Plus if you have questions or concerns, SurfEasy VPN’s customer support is almost second to none. However, there are some things a VPN should do, and SurfEasy just doesn’t do them (at least not well): they log some of your information for starters. This means that you may be secured, but you’re not anonymous. Their jurisdiction restrictions will make more than a few customers stop to think about their privacy. On top of their logging, they don’t have a kill-switch that will risk your data protection when a problem occurs in your network. Overall, a great VPN for speed, access to a wide range of servers, Netflix and torrenting access. However, if it’s privacy and secrecy you’re seeking, SurfEasy falls short of the mark. Go here to see our top 10 VPN recommendations.